How much is David Mann Worth? 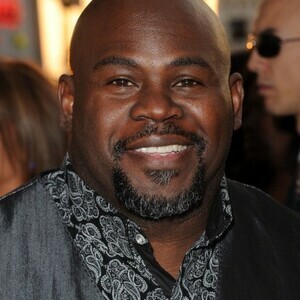 David Mann net worth: David Mann is an American actor and reality TV star who has a net worth of $5 million dollars. David Mann was born in Fort Worth, Texas in 1966. He began his professional career performing with the popular vocal ensemble run by Kirk Franklin called, "The Family". 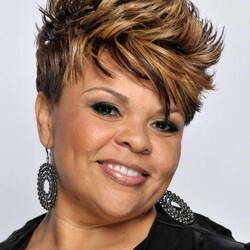 While working with "The Family", he met his wife, fellow performer, Tamela Mann. Throughout his career, he has appeared in a number of Tyler Perry's plays, including, I Can Do Bad All By Myself, Madea's Family Reunion, Madea's Class Reunion, and Meet the Browns. He was also a recurring performer on Tyler Perry's popular sitcom, Tyler Perry's House of Payne. As Mr. Perry's plays have moved to film, David Mann has reprised his popular character "Mr. Brown", by appearing in the films, Meet the Browns, Madea Goes to Jail, and, most recently, Madea's Big Happy Family, as well as the short-lived sitcom, Meet the Browns. A fun coincidence is that in the Tyler Perry universe "Mr. Brown", is the father of another character named "Cora", who is played by his real-life wife, Tamela. The pair also appear on the hit BET reality series, It's a Manns World.